Morné Morkel (born 6 October 1984) is a cricketer who plays Test and limited overs cricket for South Africa and represents Kolkata Knight Riders in the Indian Premier League. He is a right-arm fast bowler with "genuine pace" according to former South African fast bowler Allan Donald, and a useful lower order left-handed batsman. 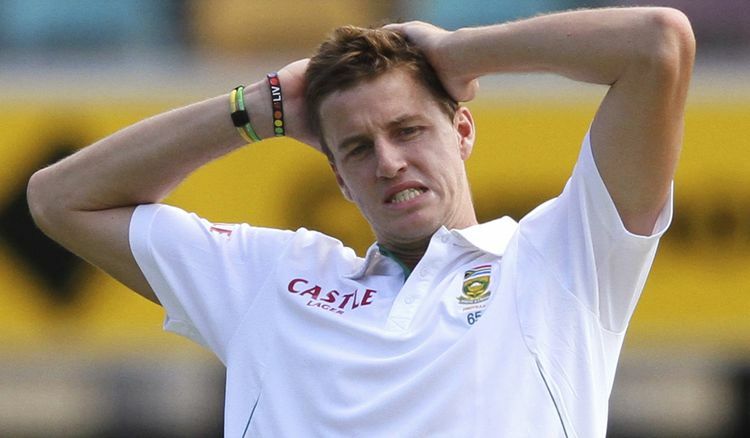 However, after a poor run of form, Morkel was dropped from the Test team in 2009. His elder brother Albie Morkel took his place. He regained his Test place in 2010. He was dropped again in 2015 due to injury concerns, his return in 2016 and 2017 was due to Dale Steyn is kept out of the side due to injury concerns. Aged 19, Morkel began his first class career with a match for Easterns against the touring West Indians. He took the new ball with older brother Albie, who later played ODI cricket for South Africa, and began by delivering 17 no-balls in a five-over spell costing 54 runs against West Indies' batsmen Chris Gayle, Daren Ganga and Ramnaresh Sarwan. His first batting effort, however, was an unbeaten 44, which included a ninth-wicket stand of 141 with Albie as Easterns posted 313, trailing by 21. He claimed his first top-class wicket by dismissing Ramnaresh Sarwan, caught by Daryll Cullinan for 72, and improved to four no-balls in six overs. 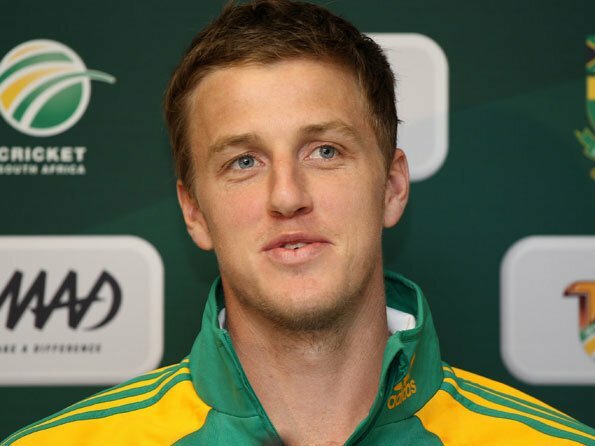 Morkel played three further matches for Easterns in the 2003–04 season, which was Easterns' last in the SuperSport Series before South African domestic cricket was restructured. He continued to struggle with no-balls, bowling 41 in 71 completed overs. He took five wickets in the season, and Easterns won the SuperSport Series shield, for the teams knocked out of the main tournament. In the 2004–05 season, Morkel played three more first class matches. Easterns, who had been placed in the second-tier UCB Provincial Cup and replaced by the franchise team Titans from Centurion, did not field Morkel for any of the first four games, but played him in their final game of the season against Border. In that Morkel took his first five-wicket-haul, though Border won by eight wickets after Easterns conceded 383 for nine and 108 for two. He also took nine wickets against the touring Zimbabweans, playing for a Combined XI of Easterns and Northerns, in which rain "rescued" the Zimbabweans from defeat. Morkel earned the call up to the first-tier Titans for the final game of the SuperSport Series season, and took three for 90 on the first day, which he improved to five for 122 before their opponents Western Province Boland declared. The Titans drew the match after following on, and Morkel ended the 2004–05 season with 20 first class wickets at a bowling average of 18.20. His no-ball ratio also improved, with 24 from 128.1 overs. Morkel went on tour to Pakistan with South Africa Academy in August 2005, taking six wickets in two four-day matches, which did not have first class status. His wickets included four former Pakistani Under-19 players, all them batsmen or allrounders. He also went through without bowling a no-ball, but that problem returned when he played for the Titans in the International 20:20 Club Championship in Leicester, England in September. Morkel bowled two overs, with three no-balls and two wides, cost 41 runs, and the Titans lost by 67 after getting bowled out in 18 overs. Morkel did not play in any of the first five first class games for the Titans in 2005–06, and also missed the first four Standard Bank Cup one-day games. However, after taking one for 24 from seven overs on one-day debut, where the team won by six wickets, he was retained for the remaining six games. He was responsible for one of ten four-wicket-hauls in the Standard Bank Cup that season, taking four for 41 as the Titans bowled out Cape Cobras for 189 to win by 19 runs and secured a top-two finish in the league stage. He took nine wickets at an average of 18.22 overall, but was dropped for Ethy Mbhalati in the semi-final, which the Titans won by ten wickets. He was then named in the initial eleven for the final, but he was subbed off for his brother Albie when the Titans were at 86 for six; the Titans lost by two wickets after Albie took three for 13. He was then given all six games for the Titans in Pro20, taking four wickets with an economy rate of 7.63 – largely increased by 60 runs in six overs in his last two matches, the last of which, the semi-final, had been shortened to a 7-over affair. He also played two first class matches in the SuperSport Series, contributing six wickets to the Titans' two victories, but was nevertheless dropped for the final three games and the final. The 2006–07 season began with the renamed Standard Bank Cup, now known as the MTN Domestic Championship, where Morkel missed the first four games and instead played provincial cup cricket for Easterns. However, after the Titans had lost three successive games, Morkel replaced Pieter de Bruyn in the eleven, and conceded 17 runs from nine overs as the Titans successfully defended 213 in 45 overs against former internationals Murray Goodwin and HD Ackerman of the Warriors. With Morkel, the team won two and lost three games, but still finished last in the league stage and did not qualify for the semi-finals. However, no bowler in the MTN Championship with more than five wickets had a lower bowling average than Morkel's 19. Having taken six wickets in the one-run victory over Eagles in the SuperSport Series, and also having scored a half-century as the Titans set a target of 178, Morkel was called up to the Rest of South Africa side to face India two weeks later, thus missing the Titans' clash with Lions in the SuperSport Series. Morkel took four wickets, all of them in the first innings when India fell to 69 for five, and despite Alfonso Thomas' haul of seven for 56 in the second innings, it was Morkel who replaced Dale Steyn to make his Test debut three weeks later, on the 2006–07 Boxing Day Test in Durban against India. He made his ODI debut playing for an Africa XI side again their Asian counterparts and took 3 wickets. In the following game he opened the bowling with his brother Albie and this was the first time in ODI history that two brothers have done so. 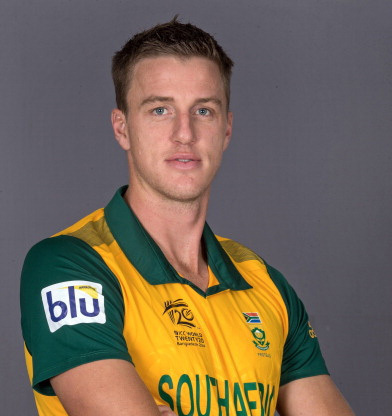 Morkel was then selected in the South African squad for the inaugural Twenty20 World Championship in South Africa, and went on to become one of the stars of the tournament, despite many feeling Twenty20 was a format with little scope for bowlers. Morkel bowled with consistent pace and accuracy, finishing with 9 wickets at 13.33 and an economy rate of 6.00, considered excellent in this form of the game. This haul included a matchwinning spell of 4/17 against New Zealand, all wickets being caught behind or bowled, and he was denied his 5th wicket in his final over only due to an incorrect no-ball call when he had clean bowled the batsman. This would have been the first 5 wicket hall ever taken in international Twenty20 cricket. The host nation may have gone on to be eliminated from the tournament, but Morkel's bowling, along with the big hitting of his brother Albie, was unquestionably one of their biggest positives to emerge from the event. Morkel was subsequently selected for the tour of Pakistan, but unfortunately suffered a broken bone in his foot in the warm up match preceding the first test. The injury wasn't too severe and Morkel picked up five crucial wickets as Pakistan collapsed to 248 all out. In October 2012, alongside Dale Steyn and Vernon Philander, Morkel was part of a South African pace attack bowling coach and former test cricketer Allan Donald called the best the country had ever produced. Morkel has played in England for Kent and began the 2008 season deputising for Rana Naved at Yorkshire. Rumours that he had been part of the second round of auctioning for the Indian Premier League, and signed a $60,000 contract with Rajasthan Royals, initially put Morkel's move to Yorkshire into doubt. However, Yorkshire were assured that he had not signed a contract to play in the IPL. On his Yorkshire debut against Nottinghamshire, Morkel picked up a hamstring injury which meant his time with Yorkshire was cut short. He played in only one County Championship game for Yorkshire. Morne Morkel played for Rajasthan Royals in the first three seasons of IPL. In 2012, Morne took 25 wickets in 16 matches and collected the Purple Cap for the best wicket-taking bowler. His team Delhi Daredevils finished first in the tables but failed to make the Playoff Final. He is playing for Kolkata Knight Riders now. Morné hails from an Afrikaner family, who are big cricket fans. Morné is the youngest of three children of Albert, who has also represented South Africa, and Mariana Morkel. Prior to marriage, he used to live with his brother Albie and team mate AB de Villiers in Pretoria.